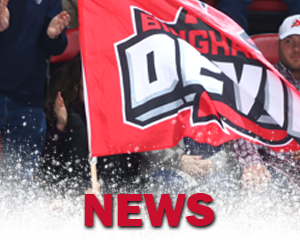 ROCHESTER – Nathan Bastian scored the game-winning goal as the Binghamton Devils defeated the Rochester Americans in overtime, 4-3, in front of 8,367 at BlueCross Arena on Friday night. 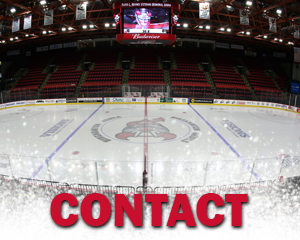 After 17 minutes of scoreless hockey, Rochester scored two goals just two minutes apart. William Borgen scored on a shot from the point that took a fluke bounce off the end wall and trickled in behind Cam Johnson for a 1-0 lead. Victor Olofsson made it 2-0 with 1:36 remaining in the first, beating Johnson on a breakaway opportunity after sneaking behind the defense and taking a pass from Kyle Criscuolo. 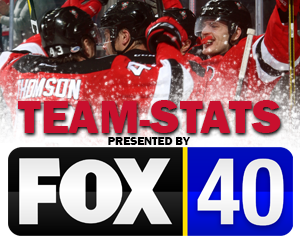 The Devils entered the first intermission being outshot 13-3 and trailing by two. 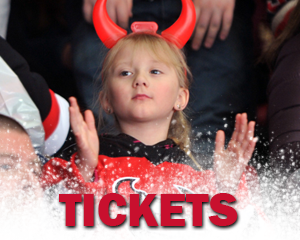 The Devils came out flying to start the second period and scored two goals in 19 seconds to tie the game at two. Brandon Baddock beat Adam Wilcox with a low wrist shot on the glove side 2:50 into the second. Marian Studenic and Eric Gryba earned assists on the play. After the ensuing puck drop, Brett Seney took a stretch pass from newcomer Jeremy Groleau and streaked down the wing into the Rochester zone. Seney beat the defense, outwaited Wilcox, and beat the netminder with a backhand shot. Groleau’s assist marked his first career point in the American Hockey League. 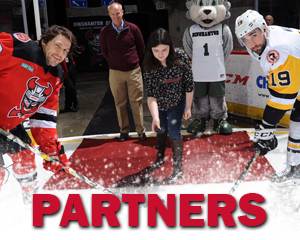 Groleau and Nick Lappin earned assists on the play. 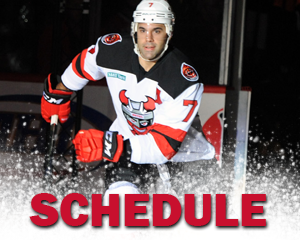 Binghamton took a 3-2 lead 14:32 into the middle frame as Eric Tangradi scored on the power play. Colton White sent the puck to Ryan Schemlzer who hit Tangradi to the left of the crease. 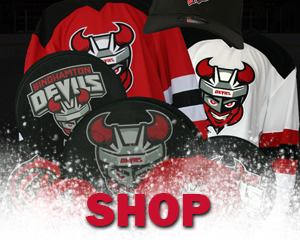 Tangradi forced the puck into the net to give the Devils a 3-2 advantage heading to the third. That lead would last 1:55 into the final period, as Rochester evened the score just as the power play came to an end. Taylor Leier spotted Rasmus Asplund alone in front of the Binghamton net and Asplund fired a quick wrister past Johnson. After a chaotic overtime period, Nathan Bastian was able to end the game with 14 seconds remaining. Eric Gryba launched a shot towards the net and Wilcox kicked out a big rebound to Bastian who fired it into the yawning cage to give the Devils a 4-3 victory. 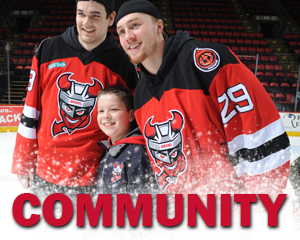 The Devils return home for the final home game for Fan Appreciation Night, tomorrow, against Laval at 7:05 p.m. Get the night started with a Devils Block Party at 4:30 p.m. and get a FREE Mike Kolcun Insurance team photo giveaway. 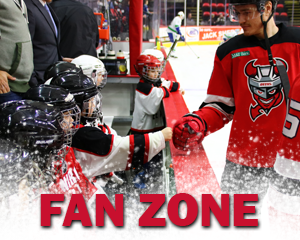 In addition, a Jack Sherman Toyota car giveaway, meet the Binghamton Rumble Ponies, and stay after the game for a player game used stick giveaway on the ice. Call or text “TICKETS” to 607-722-7367.